So what colours do you have in your living room? Call us overconfident, but we’re certain this rug will complement your scheme, and totally lift your living room. Those colours though. So bold and characterful, and exactly what your home needs. In fact, there are 20 tones in this rug - that’s a lot of colour scheme options. 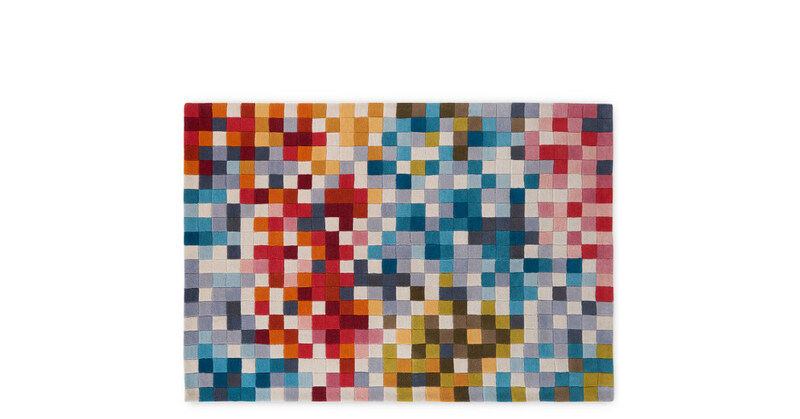 Pixelation’s woven using New Zealand wool. So weighty and luxurious - you can really feel the quality of that deep, luxurious pile. We then had it hand-carved in India to emphasise the pattern.